It’s not much of a stretch to imagine the children as the trees and the trees as the children; rather, they are a part of each other, hair/ leaves blowing in the wind, little feet reaching down into the earth to join with the roots, arms/ branches open wide to take in new experiences; at one with each other and the world. 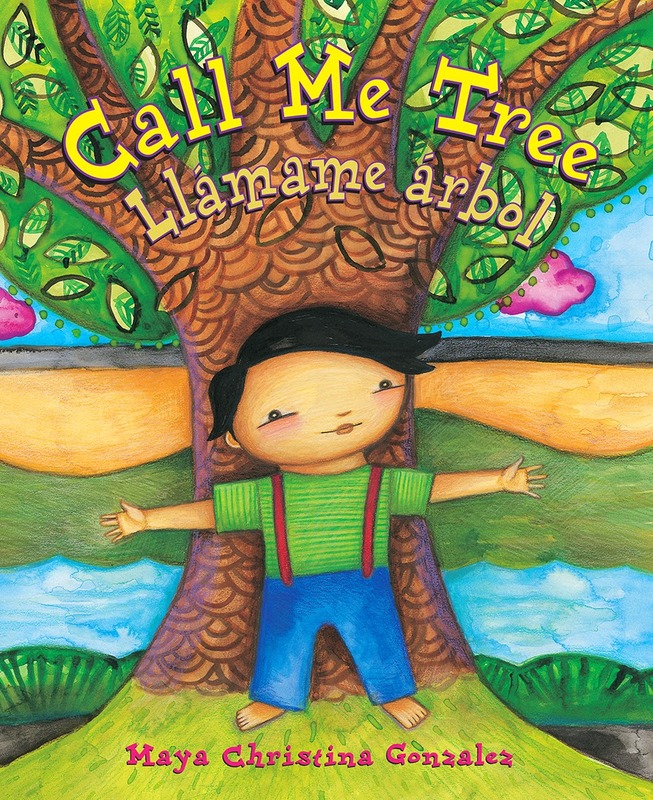 For children, Call Me Tree/ Llámame árbol is about knowing who you are and your place in the world; for adults, it’s about appreciating children for the amazing little beings they are. González’s spare text in English and Goldberg’s Spanish version are both lyrical and expressive, so young hablantes and English learners, as well as English speakers and Spanish learners, will appreciate both. “Some sing songs, others join the chorus; all trees have roots, all trees have a place.” What a lovely and loving message for all children! By portraying the children as gender-neutral in addition to multi-ethnic, González opens up more possibilities for child readers and listeners: young children who identify as girls or boys or both or neither can see themselves in everyone. In this sense, Call Me Tree/ Llámame árbol may be a first. It’s brilliant, loving, compassionate, and a thing of beauty—a treasure to be savored, over and over. 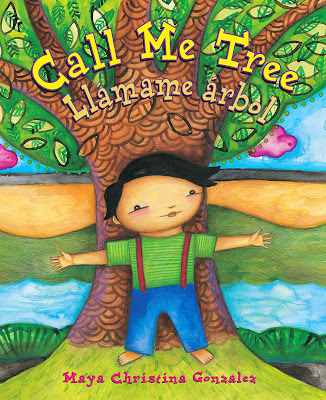 This beautiful little book brings to mind something that the great Cuban revolutionary, José Martí, said: “Trabajamos para los niños porque los niños saben amar, porque los niños son la esperanza del mundo.” (“We work for children because children know how to love, because children are the hope of the world.”) Call Me Tree / Llámame árbol is highly recommended. Thank you, Maya and Dana.